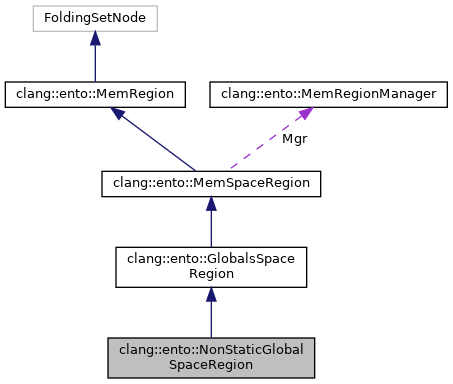 This class is further split into subclasses for efficient implementation of invalidating a set of related global values as is done in RegionStoreManager::invalidateRegions (instead of finding all the dependent globals, we invalidate the whole parent region). Definition at line 284 of file MemRegion.h. Definition at line 288 of file MemRegion.h. Definition at line 294 of file MemRegion.h.